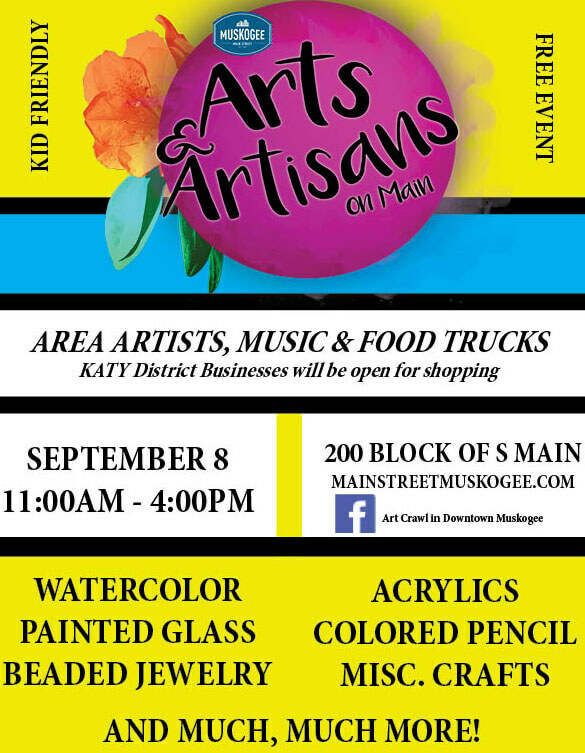 “Arts & Artisans” Fall Arts & Crafts Crawl – Hosted by Main Street Muskogee, Inc. This event is FREE and open for all ages to attend! 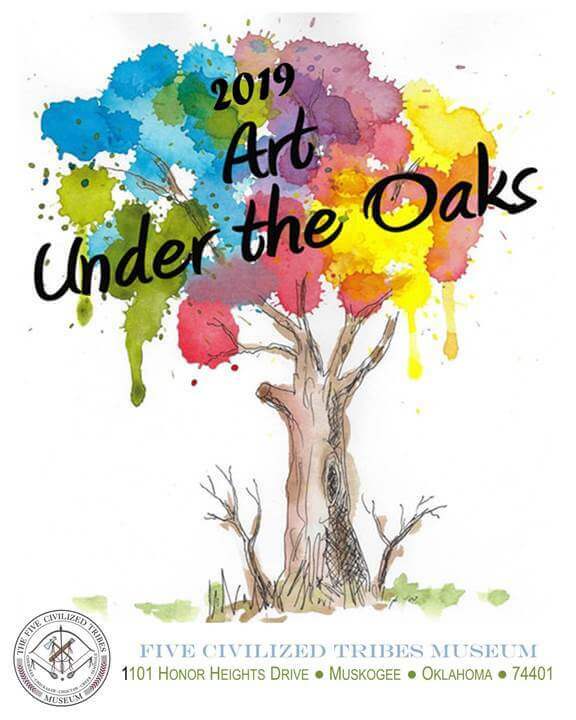 Vendors who want to set up a booth at the event; artist, crafters, woodworkers and anyone having something “made” are welcome! The set-up fee is $30 for a 10×10 booth space. If you were a vendor from the 2018 spring art crawl, your set-up fee is 1/2 price. Please contact Deann McDaniel at deannmcdaniel@hotmail.com for more details about vendor registration. For planning and mapping purposes, the vendor registration deadline is Friday, August 31st 2018. Food Trucks can set-up at the event, the fee is $100 for local/$150 for non-local food trucks. We are extending the 1/2 price set-up fee for food truck vendors who were at 2018 spring art crawl. Visit the Main Street Muskogee webpage for food truck and business sponsorship applications. For planning and mapping purposes, food truck applications and payment must be made by Friday, August 31st 2018. Questions? Please call John at (918) 683-4600 Extension #22, for more information about food vendors, event business sponsorship categories & pricing. Please LIKE & SHARE our facebook event!